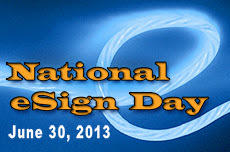 In 2010, the U.S. Congress designated June 30 "National eSign Day" to mark the 10th anniversary of the passing of the federal Electronic Signature in Global and National Commerce Act (ESIGN). 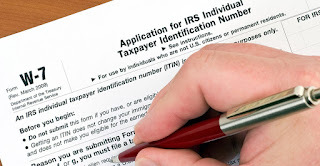 The ESIGN legislation, which complements any legislation created by individual states, set electronic and digital authorization on par with traditional paper – or "wet" – signatures. The law established that a signature may not be denied legal effect solely because it is in electronic form. The Mortgage Bankers Association (MBA) applauds the industry's progress towards this more secure, compliant, economic, and faster method of loan origination and servicing, declaring that, "electronic signatures can provide significant operational and compliance efficiencies to lenders and servicers while improving customer satisfaction." This April, Massachusetts-based Forrester Research released its latest report on progress in the field of electronic signature adoption. Analyst Craig Le Clair wrote, "Electronic signatures are gaining momentum due to rapidly evolving consumer technology and the need to reduce transaction costs and the time to close business." While lenders are gradually becoming more comfortable with the change to electronic signing, a Celent Research report in April showed that "75% of life insurers are no longer holding back on implementing eSignatures." 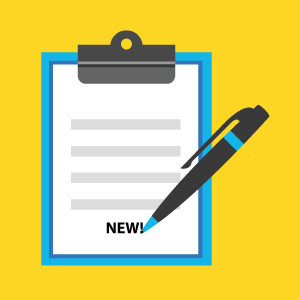 NCS now has full electronic signing and storage capabilities that can provide complete loan origination documentation for lenders, and for any forms used by other industries including insurance and healthcare. Earlier this year NCS teamed with eSignSystems, ranked a "strong performer" by Forrester's researchers, to create a seamless platform for eSigning, eDelivery, and eVaulting. As we mark another anniversary of ESIGN legislation, make sure you investigate how electronic signatures can save you time, money and manpower, as well as improve compliance and reduce risk. For a free evaluation of how our eSignature solutions can improve your documentation processing – regardless of the size of your business or the scope of your industry – contact us or call 800-582-7066. The above posted detail helped me to learn about this super cool gadget. One of my friend is having this type of signature pad but I never felt the need for it. After reading this detail I find that its of great use to me. I will surely buy it.